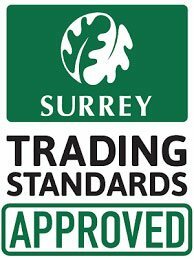 We take great pride in the quality of our work and the professional paving contractors in Surrey that we employ. Whether you are looking to construct a pavement, driveway or garden area in your residential or commercial property, you can stay assured of professional service by our groundwork specialists. Not only do we offer a guarantee on our work but you can even gain advice by having a chat with our brick paving contractor in Surrey area. This is especially handy if anything ever goes wrong. We strictly adhere to every professional working practice and local law when installing a customised pavement on your property. Looking for a new driveway? You can rest easy with our full project management from start to completion.